Our bespoke designs will suit any home. We are a local family business located in Newcastle-under-Lyme offering the highest levels of customer satisfaction. Our fully qualified Joiners are dedicated to completing your project (large or small) with quality results, on time, and within your budget. We pride ourselves on a personal service, from the outset we will discuss your requirements within your defined budget, and using our extensive knowledge and experience we can advise you on a variety of options and solutions to maximise the quality, value and appearance of your project. If you are looking to improve your home, we offer a variety of building services, from sourcing and overseeing quality trades to complement our own services, through to offering an affordable design and planning service, teaming up with Architects and Local Building Control to ensure your project is completed to the highest standard. All plans can be drawn and submitted for your convenience. WE NOW STOCK GLASS CLEANERS, UPVC CLEANERS, SILICONE AND OTHER WINDOW SUNDRIES. We will help you to make your dreams a reality through the comprehensive Project Management services of Davies Bespoke Designs Ltd! 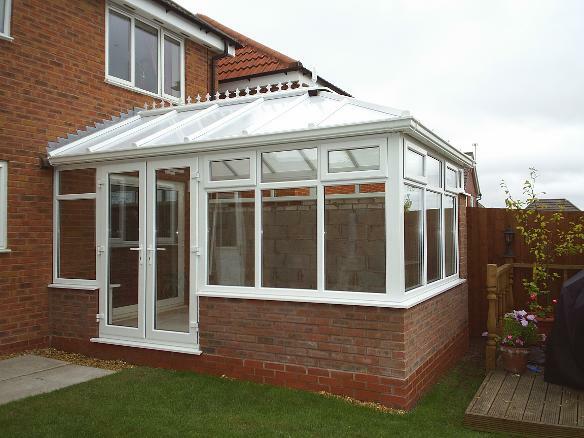 UPVC, Hardwood and Aluminium Windows,Doors, Porches,Conservatories and Orangeries.